Requires a belt length of 63" Requires Truck/SUV or 5th Gen Camaro crank pulley (#12634105) Requires Truck/SUV 105 amp alternator Requireds 1998-2002 F-body (#252-846) or 1997-2004 Corvette water pump Will NOT fit alternators with bolt patterns from Corvette, CTSV, G8, or 2010-up Camaro. Will fit all other LS powered vehicle alternators. 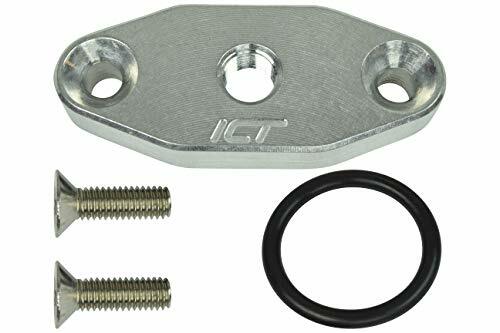 New Shifter Kit/Motorized Bike Jackshaft Kit For Regular Bicycle 66cc 80cc Gas Motorized Bicycle Manual excluded. 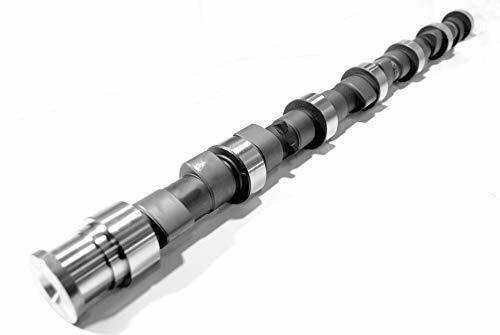 The dowel pin used in the Cummins engine can back out of its bore. When it does, it can fall into the camshaft gear and cause all types of expensive engine damage.So you need this product. 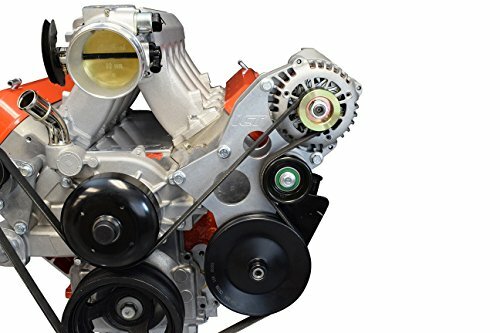 Fits:1989-1998 Dodge Cummins 12 valve engines 5.9BT. 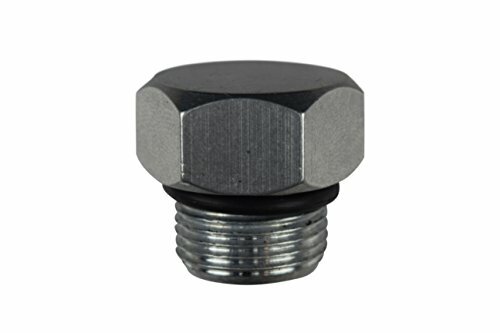 Material:Killer dowel Pin retainer is made of billet aluminum,and the socket head cap screw is made of iron.Anti-corrosion and anti-oxidation. Function:Because of the thickness of this retainer it will contact the timing cover before it can back out. Truly a permanent Killer Dowel Pin Fix. 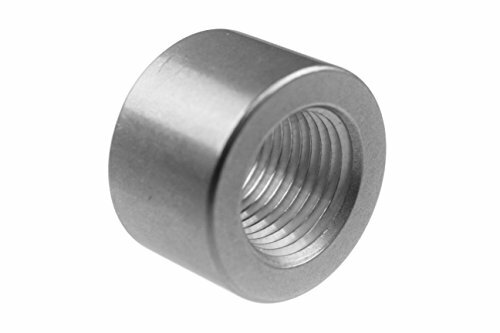 Why you need this one:The dowel pin used in the Cummins engine can back out of its bore. When it does, it can fall into the camshaft gear and cause all types of expensive engine damage.So you need this product. 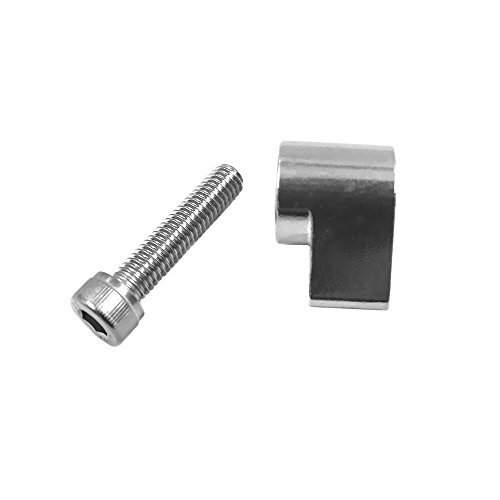 Also can be used on:This kit has a reversible Dowel Pin Retainer that can be used with the VE pump engines. 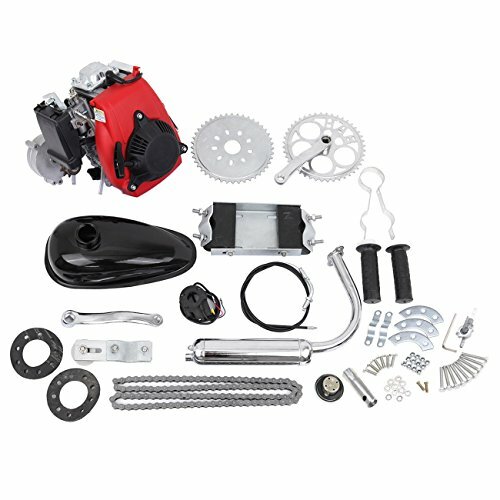 Roadstar 49cc 4 stroke pull start petrol conversion kit are more stable, more reliable and quieter than the 2 stroke rivals.This bike motor kit comes with everything that you will need, except gas and oil! You will be able to stop or start the engine as you ride. **NOTE: Please note that the Bullet Train DOES NOT come with a battery. The Bullet Train requires a 12v 7aH battery for operation. 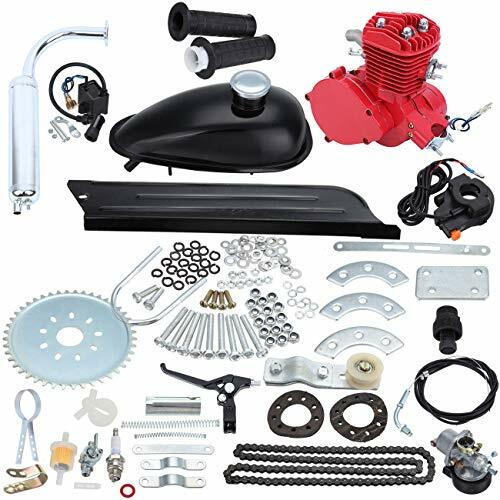 ** BBR Tuning 2-Stroke 66/80cc Bullet Train Electric Start Bicycle Engine Kit With the BBR Tuning 2-Stroke 66/80cc Bullet Train Electric Start Engine Kit you'll be taking your motorized bike build to the next level. This multi-purpose gasoline engine kit has an automatic centrifuge clutch. There are two different starting methods, pull-start or electric start, allowing great flexibility in operation. 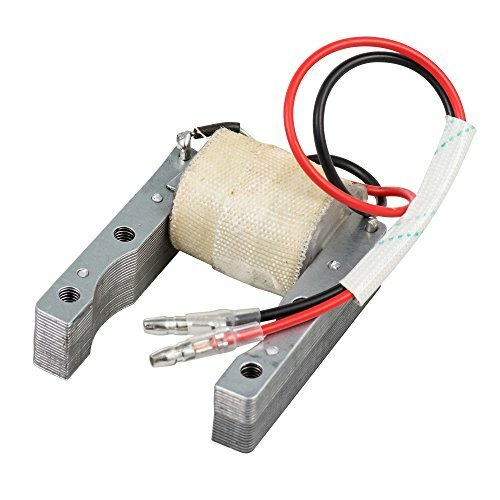 This new, well-designed electric engine kit offers several improvements over previous models. 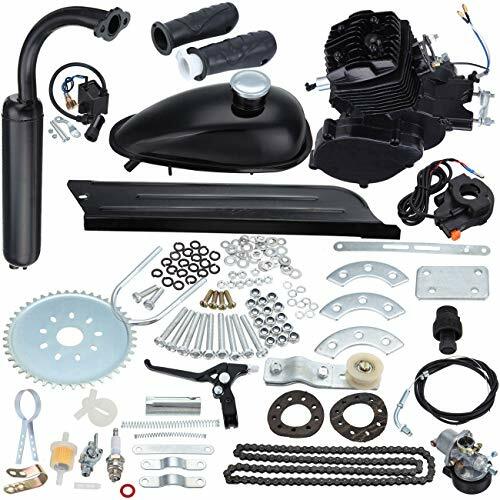 Enjoy the benefits of more horsepower, easier operation and a lower technical dysfunction rate compared to other 2-stroke and 4-stroke engine kits out there. 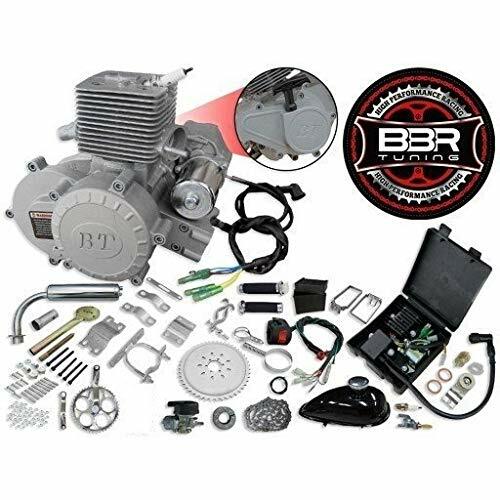 If you're an experienced rider ready to take your hobby to the next level with a faster engine, look no further than the BBR Tuning 2-Stroke 66/80cc Bullet Train Electric Start Engine Kit. 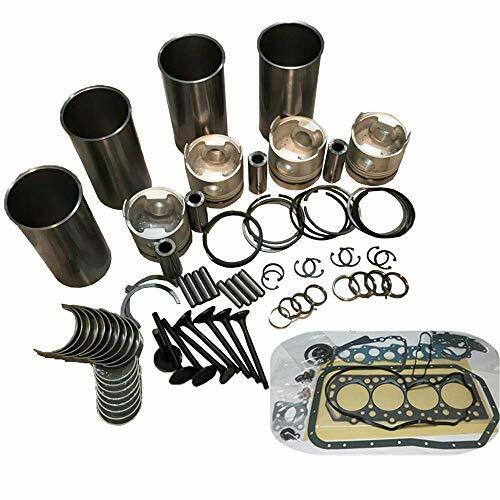 This engine kit gives you the power and performance you need with the latest upgrades such as high-quality Japanese clutch components and crank bearings. It's specifically designed for speed so it's the ideal upgrade for serious enthusiasts ready to take the next step in terms of performance. Every single electric engine kit is manufactured to the highest quality standards so our customers get the best possible products. But beginners and pro riders alike can enjoy the security and peace of mind that comes with a 6 month warranty on your new engine kit. This electric start engine fits most bicycle styles such as mountain, road and cruiser that have a V frame shape and 26-inch wheels. 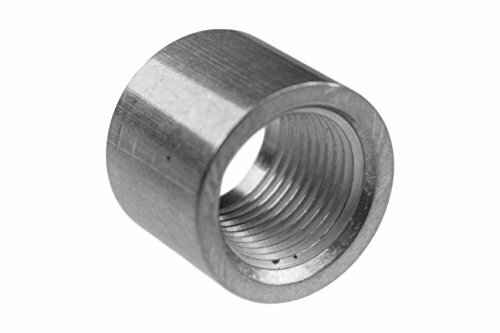 For ideal installation conditions, there should be 9 inches to 11 inches of clearance between the top bar and bottom bracket. The frame tube should have a diameter of about 1 inch (25 to 29 millimeters). HIGH PERFORMANCE: The Bullet Train is a 5hp (horse power) 66/80cc single cylinder air cooled electric start bike engine kit. It features high quality components to ensure a long life span with low maintenance. It can reach up to 30mph which makes it great for commuting around town. 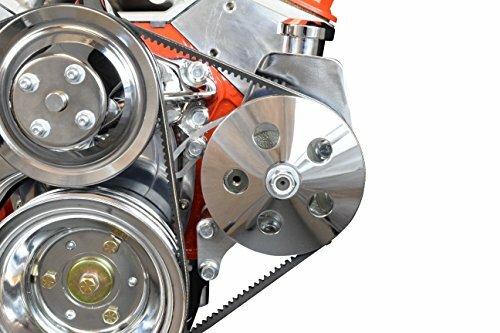 RELIABLE: All of the BBR Tuning bike engines feature the latest upgrades, including Japanese crank bearings and clutch components. We make certain that all of our manufactures abide by strict quality control assurance measures and use the highest quality material so that we can make certain that all of our customers get only the best. Made for experienced riders and builders, our BBR Tuning Bullet Train engine kit is ready soar- are you? Please also keep in mind that the motor will use a mix of gasoline and oil. The oil is used as a lubricant. Without it, the performance and longevity of the motor will be reduced. Please refer to the manual for further information including gasoline/oil ratios. If you have any questions,please contact us for technical solutions. The kit includes all the parts and instructions necessary to convert your bike. Please refer to the manual for further information including gasoline/oil ratios. If you have any questions,please contact us for technical solutions. 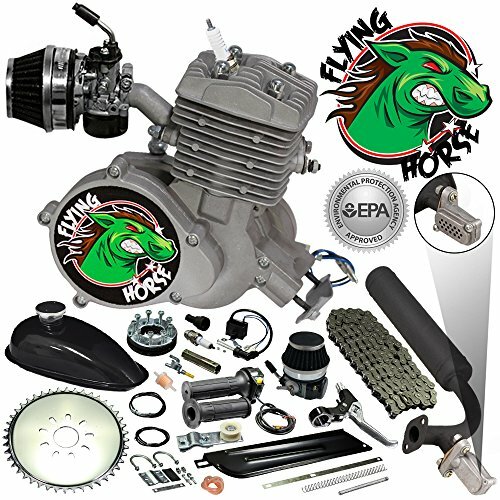 The Flying Horse 66/80cc EPA Approved Black Angle Fire 2-Stroke Bicycle Engine Kit is here for any rider looking to strap a motor on their beach cruiser, mountain bike, or road bike and turn it in to the street-legal ride of your dreams. Compliant with EPA emissions standards, the specialized muffler included offers a catalytic converter with precious metals that help clean that exhaust coming from this engine, making them EPA approved for public use. 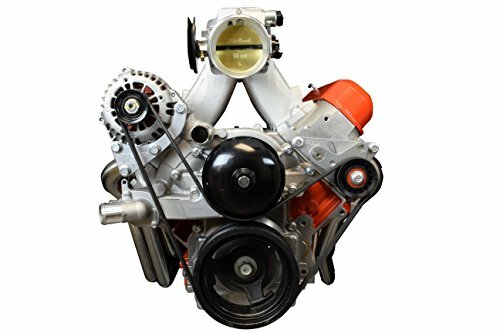 Not only do these engines still get you up to 25-35 mph and up to 150 MPG fuel economy, they also come with the 66/80cc High Performance Carburetor to give it that extra boost of power and speed. Reprogramming your computer is required after installation. 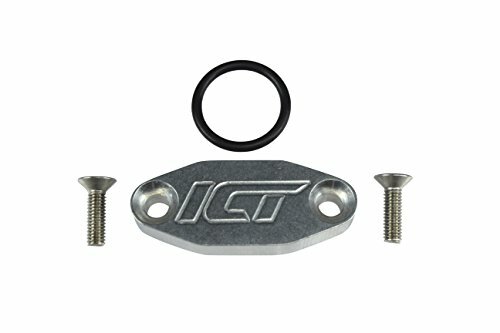 The BBR Tuning Boost Intake Manifold improves efficiency and provides high performance for motorized bicycle engine setups because of its unique design. The Boost Intake Manifold also provides a threaded top screw for Boost Bottle Induction Kits and Nitrous Oxide Kits. 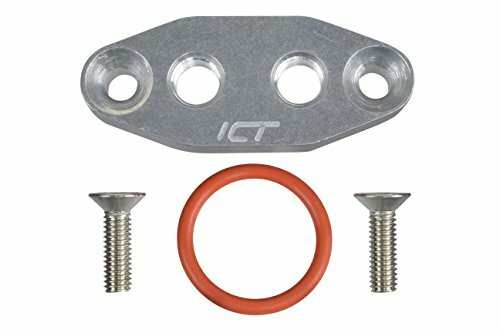 Fits on most 48/66/80cc bicycle engine kits, it is designed for greater gas flow efficiency as well as an O-ring seal for a nice air tight fit that helps prevent any vacuum leaks that normally cause poor idle quality and bogging. This is a 40mm intake manifold. NO DRILLING NECESSARY: The BBR Tuning Tapped Boost intake manifold comes pre-tapped. No longer do you have to drill and tap your existing manifold to install a boost bottle on your 2-stroke motorized bike. 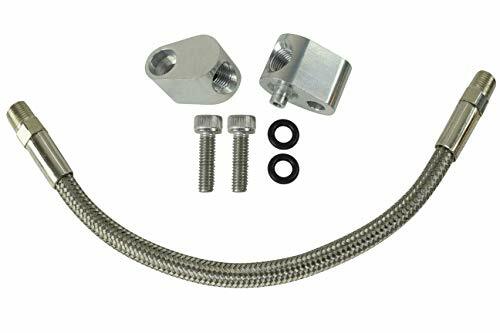 This manifold comes ready for a boost bottle, just bolt on the manifold and install the fitting for the boost bottles tubing. UNIVERSAL FIT: This 2-Stroke exhaust is designed to work with any 40mm stud spacing exhaust port common on motorized bicycles such as 48cc, 60cc, 66cc and 80cc. Be sure to measure the distance between your studs to ensure correct fitment. 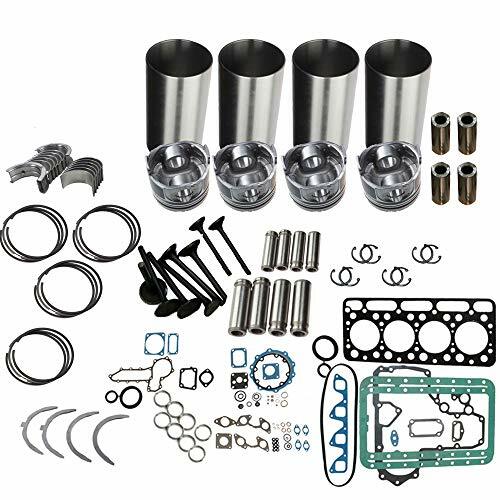 The BBR Tuning Boost Bottle kit is designed for 2-stroke motorized bicycle engines. Adding a boost bottle kit to your engine is one of the most cost effective upgrades out there. It is designed to expand your intake area on your engine by storing atomized fuel molecules in its chamber and forcing them into your engine while you are off and on the throttle. This bottle provides a "Boost" or supercharge effect. It will also make your engine run up to 3-4 times smoother and decrease the vibration on your handlebars, motor mounts and more! You will notice an awesome upgrade in power and torque. Numerous issues such as heavy exhaust smoke, very hot engine temperatures, heavy engine loading, and hard starts will be greatly decreased. There are no fluids or any explosive content inside the bottle. It gets primed by your engine instantly as you start it. Only fumes enter the bottle, not liquid gas. Note: the boost bottle induction kit requires the manifold to be tapped. Use teflon tape or any quality thread seal to secure a tight seal. Instructions on how to tap the manifold is also included with your kit. Limited quantity available. *Note: Boost Bottles do not come with pre-tapped manifold. BOOSTS PERFORMANCE: The BBR Tuning Boost Bottle Induction Kit operates on the vacuum created by your engines combustion and preloads with air fuel mixture for the next intake stroke, resulting in a smoother idle, faster throttle response and an increase in overall torque and top speed. They have also been used to reduce temperatures on hot running engines as well as smoke reduction. SIMPLE MAINTENANCE: This boost bottle kit was designed to last, which is why it can be fully broken down. Both caps on it's ends unscrew allowing you easy access for cleaning. Most boost bottles on the market are completely sealed and once clogged must be thrown away. 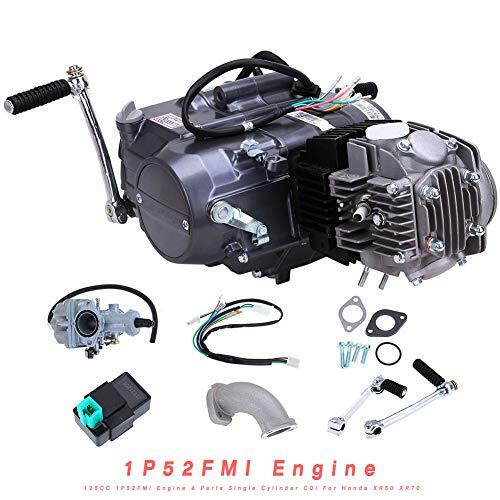 UNIVERSAL FIT: Designed to work with most 48cc, 60cc, 66cc and 80cc 2-stroke gas powered motorized bicycle engine kits. BOOSTS SPARK: Tired of getting a weak, inconsistent spark? 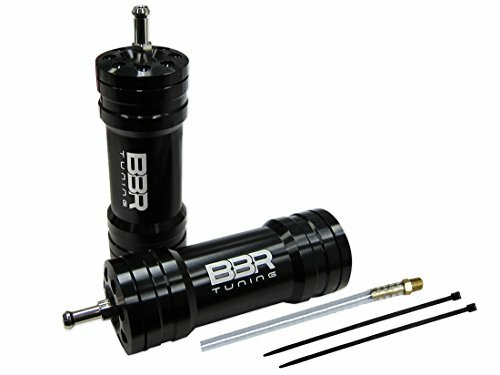 With the BBR Tuning High Performance 2-stroke Super Magneto your spark issues are soon a thing of the past. More powerful than your stock magneto, the Super Magneto will make sure the spark you get is strong and your CDI keeps getting that spark more consistently than ever. 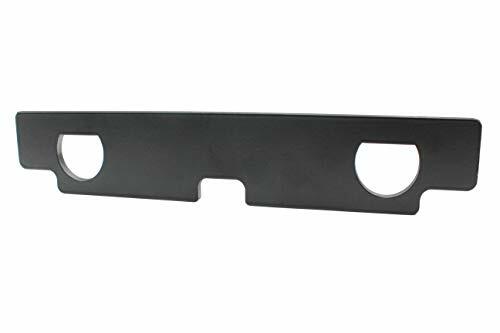 Requires a belt length of 77.5" when used with 105 amp alternator Requires a belt length of 79" when used with 145/160 amp alternator Requires Truck/SUV or 5th Gen Camaro crank pulley Requires Truck/SUV belt tensioner (12609719), alternator (19244779), and power steering pump & pulley (15909830 & 12604004) Will NOT fit alternators with bolt patterns from Corvette, CTSV, G8, or 2010-up Camaro. Will fit all other LS powered vehicle alternators. Spectre s chrome engine kits are designed to give the top of your engine an amazing look in one neat package. 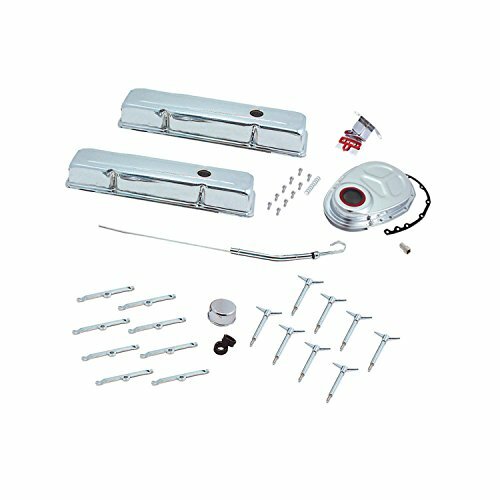 This chrome engine kit includes chrome valve covers, chrome valve cover bolts, a chrome dip stick and a chrome plated timing cover. 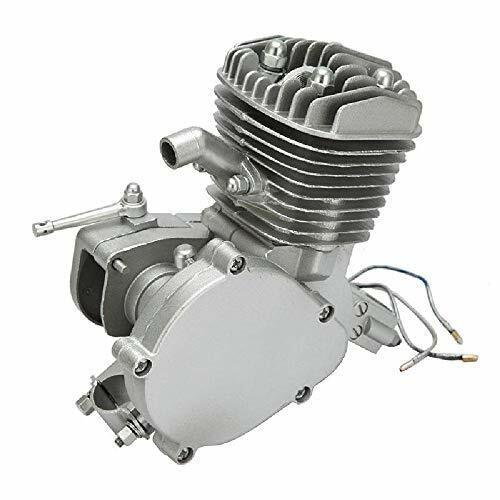 The BBR Tuning Billet Aluminium High Compression Head is just what your bike engine's been looking for. Designed with billet aluminium , this head is made for performance motors. With high performance parts engines will require heavy duty heads to compensate for high compression. Normally, this would take out a standard cylinder head, but with the BBR high compression head you'll be ready to run as high of performance parts as possible. Unlike other high compression heads, this head's shorter than other "ashtray" or "iron cross" style heads. If your engine's looking for a boost in power, or if your performance parts need a performance head to compensate for compression, the BBR Tuning Billet Aluminium High Compression Head will take your bike engine kit to a whole new level. BOOSTS PERFORMANCE: The BBR Tuning Billet Aluminum High Compression Cylinder head cap will boost your power from 20-30% from stock. It's hemispherical dome raises your engines compression and ensure evenly distributed combustion resulting in a large explosion and better utilization of fuel. 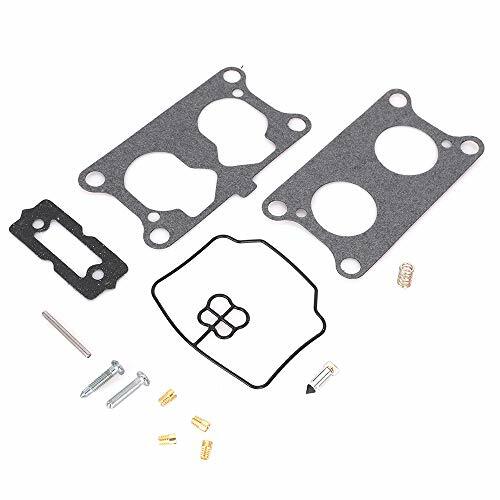 INCREASED COOLING: This cylinder head features extra large heat sinks constructed of aircraft grade aluminum which dissipates heat more evenly and cools your cylinder up to 50% better than stock. Not only do you get better performance and cooling from this cylinder, it also makes your bike look great with its shiny billet aluminum and stylish machining. UNIVERSAL FIT: Designed to work with most 66cc and 80cc 2-Stroke motorized bicycle engines. 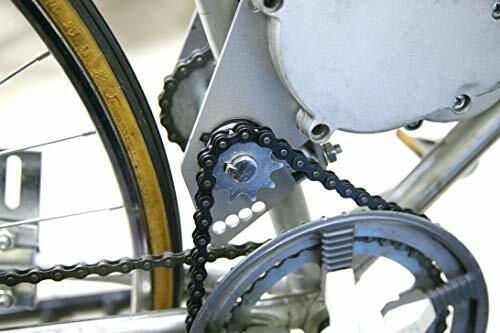 Hold on at the camshaft TDC position to ensure proper timing during do the cam, gear, chain work to prevent rotation. Make engine work effortless! LIFETIME WARRANTY Order Carburetor Rebuild Repair kit from Yikesai, we offer LIFETIME WARRANTY, true worry-free shopping experience. Any question, feel free to contact us. 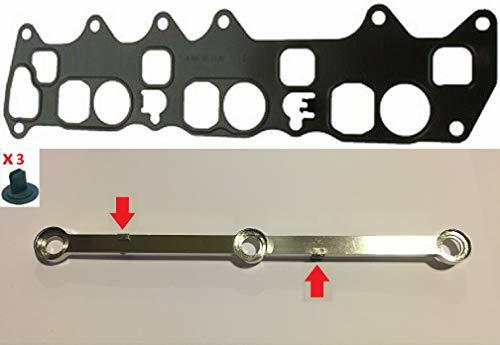 A common failure inherent to the intake manifold of Mercedes-Benz OM642 V6 CDI / CRD engines is for breakage of the actuating mechanisms on the intake swirl flap system. The plastic material used in the construction of the intake manifold is the main source of the problem. These swirl flaps help create better torque low down and enhance fuel economy. However the material of this lever that controls the swirl flaps has been incorrectly specified. Over time this less robust plastic material cannot withstand the constant heat cycles and mechanical stresses, therefore embittering and weakening the material leading to inevitable failure. Our Premium intake manifold repair kit is the only solution which solves all of these issues during your first and only repair... One of the faults of the OM642 diesel engine is the defective intake manifold flaps, they stop working due to the wear of the chuck fixing clips, the thrust guide of the connection to the flaps, and the seat plates on the dampers levers. 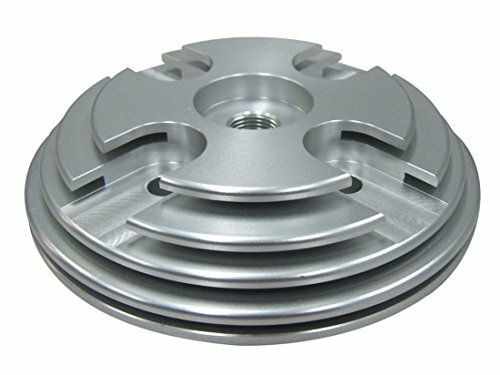 The cause of wear is the material from which the vortex dampers drive system itself is made - plastic. Over time, the connection points of the linkage and the flaps wear out, this leads to a malfunctioning system of the vortex dampers of the manifold of the Mercedes. Engine control module stored pending codes for Intake Manifold Air Flap or Runner Control System problems, in order to fix this problem need a complete replacement of the "Intake Manifold Assembly"...... but by using our new repair kit, specially designed to save you money, you will not have to replace complete Intake Manifold Assembly. 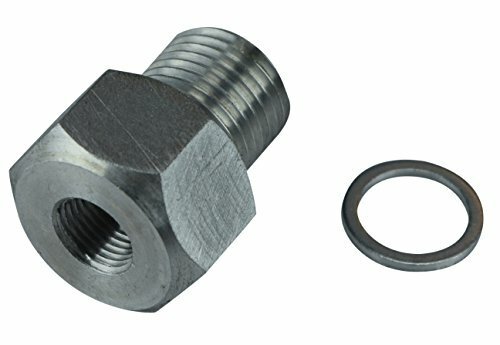 Even if the Swirl Valve Arms on your manifold are very worn, replacement of just the Connecting Rod usually restores full function. This Cam is perfect for drivers who just want to rip on their weekend warrior. It is meant for larger singles or compounds, can be used for towing, but gives more mid range power than bottom end. This is a straight drop in as long as your at a factory clearance, fro more information please check our website. 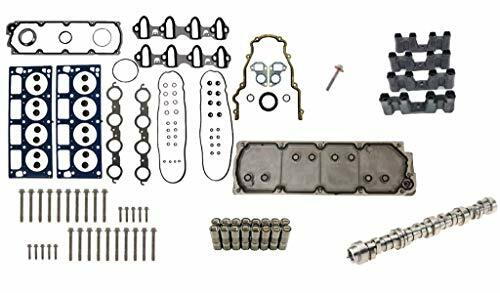 For HONDA CRF50 / CRF70 / XR50 / XR70 / Z50 / Z50R / CT70 Mini Trail / Z50 / Minitrail Monkey / XL70 ST70 / QA50 / QR50 / CL70 / SL70 / 70 Passport / ST 90K2 / ST 90K1 / CS 90 / SL 90 / ZB 50 / Please note this is not a guarantee, if you are unsure, please ask your local dealer.